Can we say our namaz in Urdu or English rather than in Arabic? Arabic is not our language and we all know that Allah understands every laguage. I agree that we should learn this language as it has the status of somewhat the language of our religion but in this age where kids need to learn English and Urdu, learning another language is just a burden on their minds. When I was a kid, I picked up Urdu as a mother tongue from my parents. My parents put me in an Urdu medium school where I learnt a little bit of Arabic. My level of proficiency in Arabic was not good enough to understand even a single word of it. The only good thing about my learning this language is that now I can read the Arabic sign board on Dubai roads (where I work and live) and that too without understanding their meanings. My Arabic never helped me to read or understand Quran. When I grew up I found it useless to read Quran in Arabic and started reading it in English. The only good thing I could think of learning Arabic is that I can say prayer in Arabic without understanding whatever I am mumbling and nothing else. Now I am father to a son whose mother tongue is not Urdu. We always interacted with him in English so that he could pick it up as his first language. He was supposed to go to the British/American schools where understanding and speaking English is a pre-requisite to admission. My son picked up English language as his first language and now he can only speak in English. Though he understands a little bit of Urdu and loves to speak it but his accent of Urdu is more like that of a Pathan. We are trying hard to teach him this language but I know he would learn it in the way I learned English…after years of struggle. LOL. My son is only 4 right now and my wife is concerned about his religious education. She wants him to start reading Quran from next year but it doesn’t seem possible. He cant even speak Urdu let alone reading Urdu/Arabic alphabets. I personally don’t see any benefit in reading Quran in Arabic. I argue with my wife a lot and in my opinion, we should start teaching our son the basic principles of Islam in English until he grows up. Even after growing up he can study Islam in English as I don’t see any benefit in learning Arabic. In truth I started believing in Allah only when I started reading Quran in English. That’s when I started understanding it. Reading Quran in Arabic without understanding is the most useless of activities to me. Moreover, It’s not possible for our future generation to learn it in the way it should be learnt. The world is being globalized at the speed of light and western culture is rightly or wrongly engulfing all languages and cultures. English has already become the laguage of offices and daily life. Besides this, our kids can learn Urdu. Why should they break our head learning another laguage called Arabic. Why? It doesn’t make any sense to me. We are left far behind in this human race. The dream we have about the survival of our cultures and languages doesn’t seem to come true. We should better feel the pulse of time and start keeping pace with it. Loving our old outdated fantasies would only make the situation worse. I need your guidance on this. I can understand what you are saying. However, don’t forget that the Arabic text of the Quran is the very word of God. Not even the best of translations can take its place. We should therefore take a mid-way path. 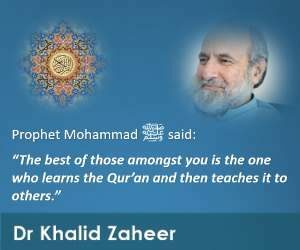 On the one hand we should gradually and politely encourage our youngsters to learn to read the Quran in Arabic, we should ask them to understand its meanings in the language they feel comfortable in. Don’t push it too much but gently ask them to do it. I can assure you that youngsters have the ability to learn several languages simultaneously. I am sure both of us are okay in at least three languages. Learning to read the Quran in Arabic will give your son an additional opportunity to at least learn Arabic on his own in future if he so chooses to do voluntarily. And I tell you, Quran in Arabic is out of this world: priceless, inimitable, simply brilliant. Reading it in Arabic, you get a real feeling that God is talking to you directly, on a one-to-one basis. So why not to provide him with at least a chance to get this wonderful gift in the future. As for prayer, my view is that what we utter in it are contents which fall into two categories: obligatory and non-obligatory ones. 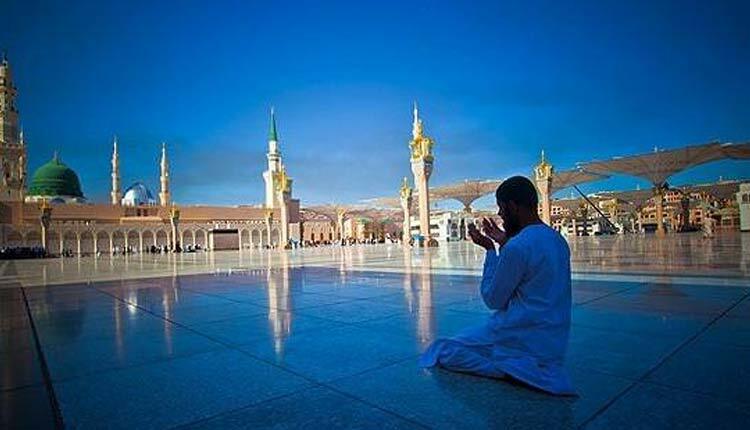 The obligatory ones are surah al-Fatiha, followed by a few Quranic verses, saying Allahu Akbar preceding each change of position, saying sami’Allahu liman hamidah, and saying Assalamu Alaikum Wa rahmatullah at the end. Apart from these utterances, none else is obligatory. What is obligatory is what we must say in Arabic or else the prayer is going to change very soon in its essence too because translations can differ greatly. Moreover, meanings of these few utterances can be easily worked out and remembered while praying. The rest of the occasions are the ones where one can express oneself in the language one feels more comfortable in. In other words, its our choice. I say what I have written because the prophet, alaihissalaam, is reported to have said the utterances I have described as obligatory without fail in all his prayers the same way. However, in the rest of the cases, he has altered the wording. 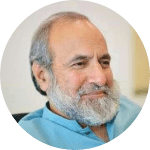 Thus we can conclude that some part of what we say in prayers has to stay the same and some other part is allowed to be said in a way that suits us, which will provide us with the opportunity to know what we say and also do it at will. I hope the above-described solution would provide your son with a balanced approach towards saying his prayer in a correct and effective way, insha’Allah. Is Belief in God Objective or Subjective ?